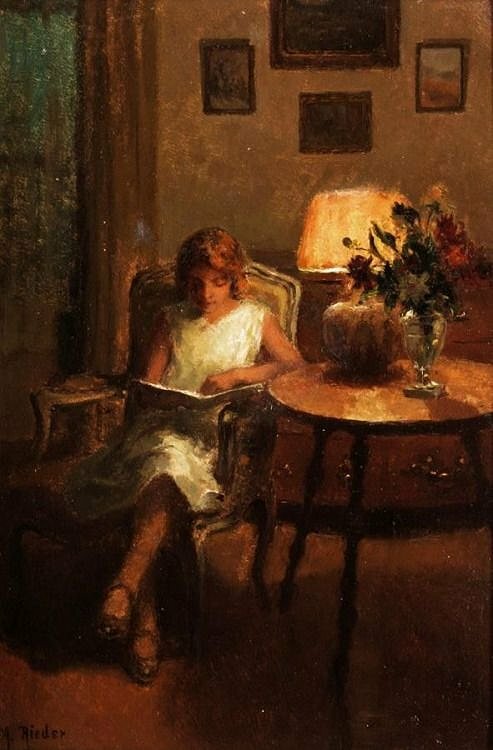 Art Buffer: Marcel Rieder French's "Harriet"
I love the glow of the lamplight on Harriet's dress, the vase, and the wood of the table. She's very clearly off in a world of her own, isn't she? I love to see anyone reading, but especially women, teens and children. What a warm, inviting picture, Cathy! That lamp glow really adds so much. I think the light is what makes the painting special, Margot.